I finally got started, and I see what people are talking about. It's easy and it's interesting, and I feel a connection with the people whose names I'm recording. Thanks to Madame LN (AKA Aunt Ellen) for writing about indexing on Madame L's blog. Of course, there's also the LDS church's helpful "Worldwide Indexing" web page, with links to other pages for more information. Is that amazing, or what! Here's a more recent article (2011) about the progress being made in indexing. As I went through a set of 400 names from California death records in the 1930s, I realized that someone, somewhere, will at some time in the future be looking for the records of an ancestor who died in California in that time period, and because someone else in the 1930s and 1940s took the time to record all this information in an orderly and neat fashion, and because I took the time to record it through the indexing program, that person will be able to find out what they need to know about that ancestor. And then they can perform the ordinance work for that person in the temple, and then that person will be able to receive the temple blessings we all take for granted. Even after you get over berating yourself for every imperfection and failure, and start to acknowledge that you do have a few "drops of awesome" to add to your life's store, you eventually realize that the only way your cup will "runneth over" is when you tap into the ultimate source of awesome. Thanks to my daughter in Iowa for sending this to me. I'm not even going to try to explain the ideas more than I just did, but just provide the link so you can read it for yourself: Drops of Awesome, by Kathryn Thompson, from her "Daring Young Mom" blog. BTW, I used this in my Sunday School class last week, and the class members responded the same way I did, the way I'm sure you will. Enjoy! Yannick Murphy has written one of the most thoughtful but still entertaining (a combination that he makes seem easy, though of course it's not) books Madame L has read in a long time. What if you were a veterinarian living on the edge of a small farming town, receiving phone calls daily to go help a goat in labor, a colicky horse, a cow with mastitis, a farming family living on the edge of poverty, an old lady who keeps her sheep in the house with her, and so on and so on? What if you were also receiving phone calls almost daily from someone who listens awhile in silence before hanging up on you? And if you and your family saw strange lights in the sky that no one else admits to seeing? What if the first time you went hunting with your son, another hunter shot your son out of the tree, and your son landed on his head with a concussion and ended up in the hospital for weeks without any sign that he would revive? "The Call" is about all of these things, and more. Madame L found it at one of the Powell's bookstores at PDX and read it on the plane instead of the supposedly more "important" items she had brought along to read and do, and she's glad she did. Madame L thinks everyone should read this book. You can get it new for over $10.00 or used for under $2.00 at Amazon.com, or you can travel to Portland, Oregon, where you can get it at any one of the three Powell's bookstores at PDX for less than $7.00. Or, if you'd like, let Madame L know you're interested, and she'll send you her copy. Enjoy! Truer words were never spoken. This makes me think of altitude, too: getting above the smoggy valley, the discouragements, whatever may drag us down if we let it. Lance Armstrong Will Confess: So What? I just read this article, and I must say it doesn't matter any more. "USA Today's Brent Schrotenboer hears word from a “person with knowledge of the situation” that the disgraced cyclist will admit to doping throughout his career, but isn’t expected to go into details about particular instances and events." Too little, too late, Lance. Nobody cares any more. And admitting it on Oprah? Give me a break. Madame L here, reporting on a great play she saw last night at the Morrison Theater in downtown Portland. The playwright, Sue Mach, also has another play opening at another Portland theater, making her famous at least in this area. But Madame L thinks it won't be long before Ms. Mach will become famous throughout the country, with these fascinating and very different plays. "The Lost Boy" is based on an 1874 kidnapping for ransom. The stolen boy was never found, his parents were torn apart, while his older brother felt guilty. And the media circus, personified by P.T. 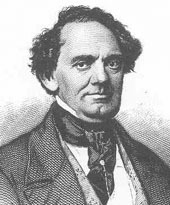 Barnum himself, an early version of Rupert Murdoch perhaps crossed with Donald Trump, along with General Tom Thumb and some other circus performers, get involved. Ugh. Madame L could hardly stand the suspense. The actors were great, the story was great, the writing was great. "...In 1874, 4-year-old Charles Ross, or “Little Charlie,” and his 6-year-old brother were lured by two men into a carriage outside their home in Philadelphia. The men drove them around the city for two hours before dropping off the older boy. Charlie, however, was never seen again. His father, a wealthy businessman named Christian Ross, received a letter demanding $20,000 for the safe return of his son." Read the rest of it at this link if you'd like. It's heart-breaking, and it's not that different from what parents go through nowadays in these cases. Today, two years after the horrible murder of innocents and wounding of other innocents in Tucson, and days after even more murders, former Rep. Gabrielle Giffords (horribly wounded in the Tucson incident) and her husband former NASA shuttle commander Mark Kelly, both gun owners and strong supporters of Second Amendment rights, have asked all of us to join the cause for responsible gun rights. If you're in favor of the children, instead of the creepy crazies, please go to "Demand a Plan to End Gun Violence" and sign the petition. Please, help keep these tragedies from being repeated. From Pres. Hinckley: "The best antidote for worry is work. The best medicine for despair is service. The best cure for weariness is the challenge of helping someone who is even more tired..."